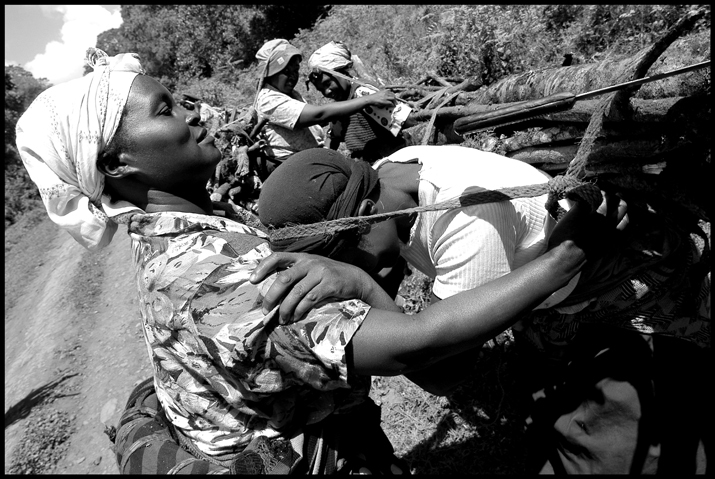 Home / Women of Mount Kenya | Kenya / A woman is being helped to unload her firewood to have a rest. A woman is being helped to unload her firewood to have a rest. Caption: Women on Mount Kenya carrying firewood take a break. Object name: Women carrying firewood take a break.